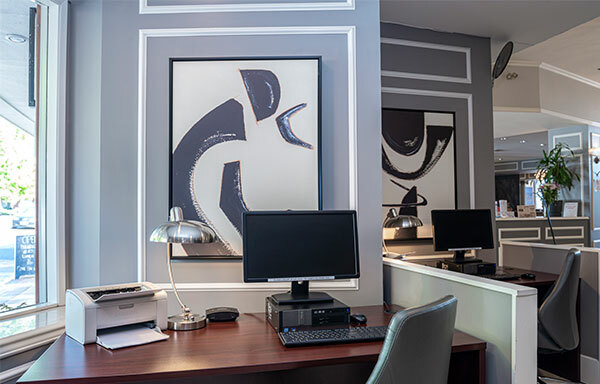 As a preferred choice for business travellers to picturesque Nanaimo, Best Western Dorchester Hotel is pleased to offer special corporate rates to our business guests. 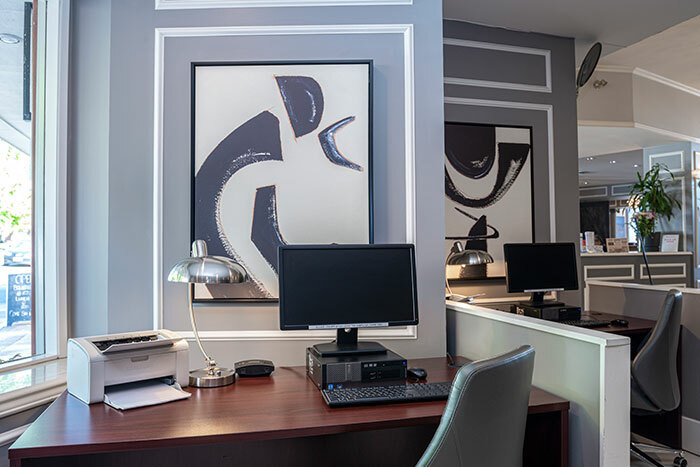 Business travellers will appreciate our extensive complimentary business services including express check-out, a free newspaper and hotel business centre, as well as room features specifically tailored for the corporate traveller, including an efficient work space, free local calls under 30 minutes, data ports, wake-up calls and complimentary Wi-Fi. Executive Suites are also available. With complimentary high speed Wi-Fi, a free daily newspaper, express check-out and breakfast onsite at Deep Blue Restaurant, we’ve got your business needs covered. Our onsite business centre features two work stations, and other services including fax, photocopying, and courier. Contact us by phone at 250 739 5050 or by email to arrange your corporate travel rate today!